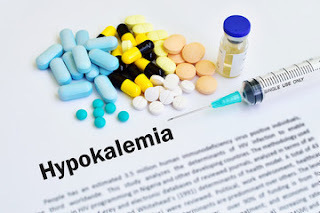 Hyperkalemia is a medical condition where in the body is not able to eliminate the required amounts of potassium from the system, thereby increasing the potassium built up in the blood stream that can result in increasing toxic levels in the body. This condition though seen commonly among patients with impaired kidney or diabetes, it is treated immediately and as an emergency condition. What are the normal potassium levels in the blood? Hyperkalemia treatment begins almost immediately as soon as abnormalities in the potassium range values are seen in the blood. In case of adults medical practitioners begin treatment once the levels go beyond 5.5mEq/L. The treatment aims at bringing the levels back to normalcy so as to avoid worsening of the system. Untreated Hyperkalemia can cause severe neurological effects and could very well be fatal. Potassium is a generic electrolyte found in the blood stream that can be measured through a blood test. Other electrolytes that are important to the body include sodium, chloride, and bicarbonate. Potassium is an important electrolyte which is required for the smooth functioning of the body. This mineral is an essential requirement of the nerves, muscles and the heart to function at its optimum levels. In the human body, any excess potassium is flushed out of the body by the kidneys. When the kidneys are unable to flush out the extra potassium, there is usually a buildup of potassium and the concentration in the blood increases. This condition generally occurs in conditions where the kidney function is impaired and it is unable to perform the usual filtering process as it should. This excess buildup of potassium in the blood stream is called hyperkalemia. Potassium moves in and out of the cells of the body. Typically potassium is located intercellular or within the cells. Very little potassium is located outside the cell or extracellular or in the blood circulation. When blood tests are conducted to check potassium, it is only checking the extracellular levels of potassium in the blood stream. Hence the treatment is a corrective approach that can cause the amount of potassium from in the blood stream to be brought back intercellular and correcting the balance. The most common reason for potassium buildup in the human body is kidney failure. The kidney is simply unable to function normally. The kidneys primary function involves filtering the blood and flushing out the excess minerals and wastes from the body in the form of urine. When the kidney is unable to perform this, the excess mineral, potassium in this case, can be left behind in the blood and cause hyperkalemia. Acute kidney failure, is quite similar to a chronic kidney disease where in the kidney is unable to filter the waste from the blood. This is a condition that develops commonly in critically ill patients. It could arise due to long term illnesses like diabetes. Addison’s disease is an ailment that strikes when the body has insufficient amount of hormones, usually due to low production of the adrenal glands. Body causes a certain hormonal imbalance in this medical condition that leads to potassium getting retained in the body leading to hyperkalemia. Angiotensin-converting enzyme (ACE) inhibitors are used to relax blood vessels. ACE inhibitors prevent the narrowing of the blood vessels in the body, which there is a rise in the blood pressure. However, ACE inhibitors have a common side effect that is hyperkalemia. When the side effects of ACE increase in the body, ARB is used to constrict the blood vessels and control the blood pressure. However a known side effect of ARB inhibitor is also hyperkalemia. • Type 1 diabetes, also recognized as juvenile diabetes or insulin-dependent diabetes, is a long-lasting disorder in which the pancreas produces little or no insulin. The insulin that is injected into the body can have long lasting side effects like hyperkalemia due to the kidney getting affected. • Kidney disease of any form has a direct link to hyperkalemia. Excessive potassium ingestion – due to high potassium diet or high potassium supplements has an increased risk of hyperkalemia. It is common to have patients who are asymptotic to hyperkalemia. The symptoms associated with hyperkalemia are common and hence need to be diagnosed by a registered medical practitioner for any further treatment. Most symptoms are nonspecific and mainly related to muscular or cardiac function. • Weakness and fatigue are the most common complaints. • Paresthesias (numbness and prickling of the skin). Hyperkalemia is very difficult to diagnose. Not only do the symptoms vary but are also common and overlapping for a number of ailments. Usually doctors examine the patient and listen to the heartbeat, while trying to understand the diet and living style. The doctor to see if any of them could be the trigger point discusses the use of any medicines. Hence any patient being suspected of having hyperkalemia must divulge all the information to the doctor of all medicines including supplements or any alternative medicines being used. Medications: It is important to make sure your doctor knows about all the medicines you are taking, including over-the-counter products. Lab tests are usually done to check the levels of potassium in both the blood and urine. Even though blood test results vary from lab to lab, the doctors explain the results and compare the same with the normal levels. This helps them understand the deviation and plan the aggressiveness of the treatment accordingly. An electrocardiogram, called ECG or EKG, may be administered to check the heart activity of patients. This is also used to check the heart rhythm. • The body gets most of the potassium from the diet and hence there are certain steps that can be taken to limit the potassium rich food. • The resolve is to check the potassium intake to 2,000mg to 3,000mg potassium per day. bananas, peaches, figs, orange; raisins, prunes and kiwis are rich sources of potassium. These fruits must be avoided as much as possible. • Milk and dairy products like yoghurt, buttermilk and cottage cheese are equally potassium rich. • Fish contains a lot of potassium; like tuna, salmon. Flax seed is equally rich in potassium. • Other food to avoid would be pumpkin seeds, almonds seeds, pistachios and sunflower seeds are Raisins, dates and tomatoes, as well as beets and chocolates should also be eliminated from the diet. • Vegetables to introduce include Carrots, cabbage, onion, ladies’ finger, rice, pasta, alfalfa sprouts. • Alcohol can have an adverse effect on people with hyperkalemia and hence doctors ask patients to stop drinking. • A healthy lifestyle helps in reducing the effect of hyperkalemia on other organs. • Healthy diet and a good exercise every day is recommended. • Looking at the drugs causing hyperkalemia. Sometimes the drugs maybe changed or the dosage may be varied. • Diuretics maybe introduced to remove the waste and extra potassium through urine disposal. • A medicine containing Sodium polystyrene sulfonate (Kayexalate) is prescribed to help remove the potassium through the digestive system. • Patiromer (Veltassa) – a drug that controls the level of potassium and brings down the hyperkalemia by bringing down the saturation of potassium in the blood stream. • Trying to treat related conditions. Kidney being one organ whose dysfunction can cause hyperkalemia directly. • Treatment of kidney is taken up, which may include dialysis of the blood through an external machine, once or twice a week. This filters the blood of any impurities. Likewise, diabetes is treated to keep it under control, which then will control the potassium level in the body. • Intravenous care for patients having dangerously high levels of potassium. • Hyperkalemia can be asymptotic hence before detection it can become server and cause other organs to be damaged. • The symptoms of hyperkalemia are generic and hence may relate to many other diseases or disorders. It can easily go neglected. • Even mild hyperkalemia, if not treated, can become severe and be fatal. It can lead to a dangerous disorder called ventricular fibrillation. This causes the lower part of the heart to flutter, causing rapid pumping of blood. This could lead to a heart attack and can be fatal.